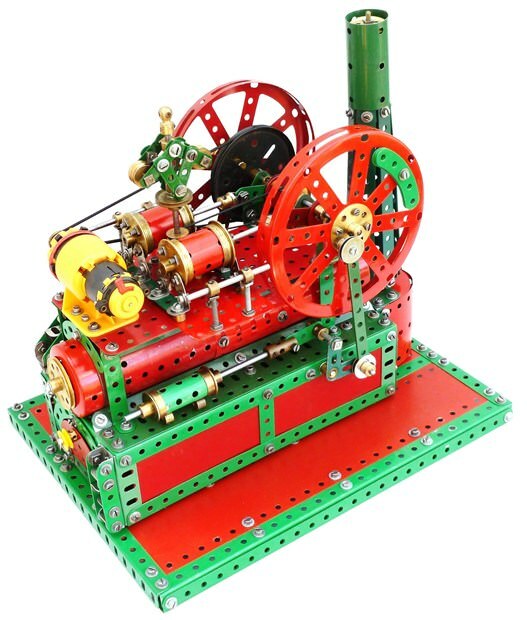 This is a Steam Engine suitable for driving factory machinery. It features a boiler house with opening door, two compact pistons and cylinders, a governor and flywheel. The model is driven by a PDU motor.